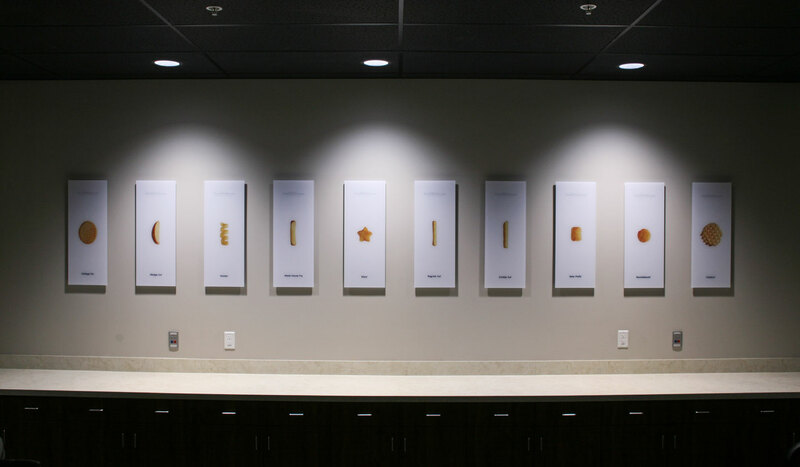 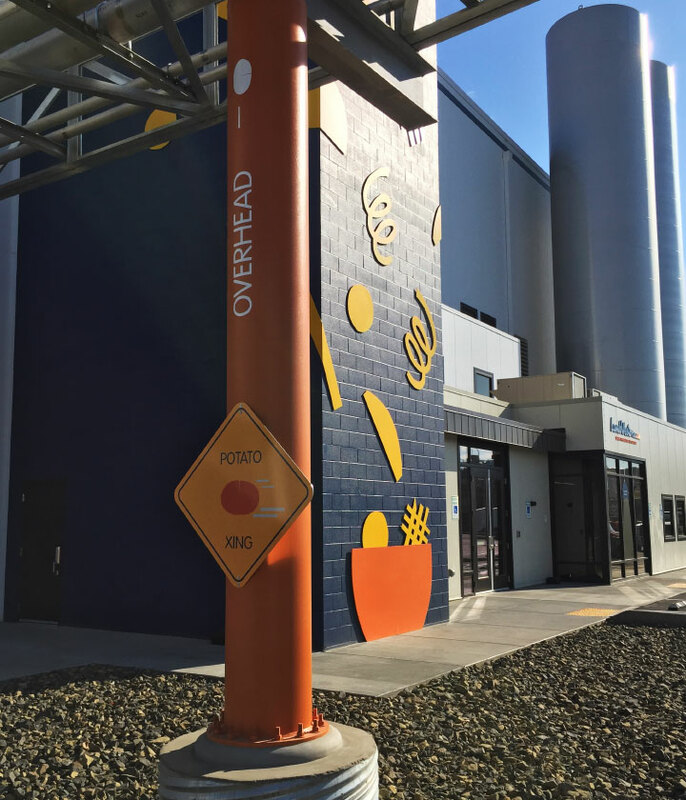 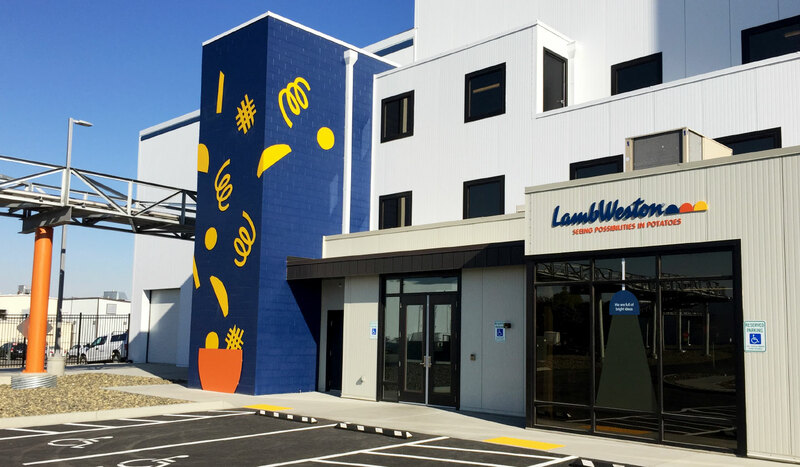 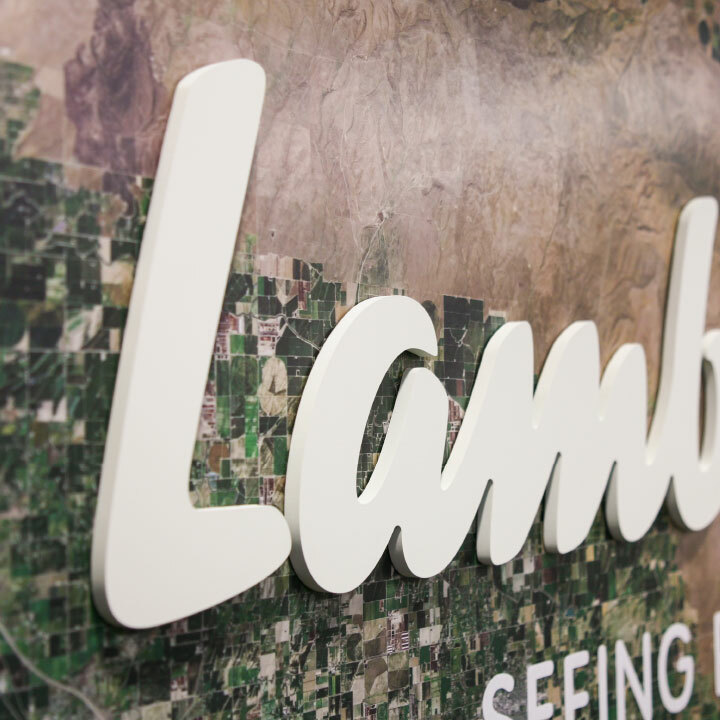 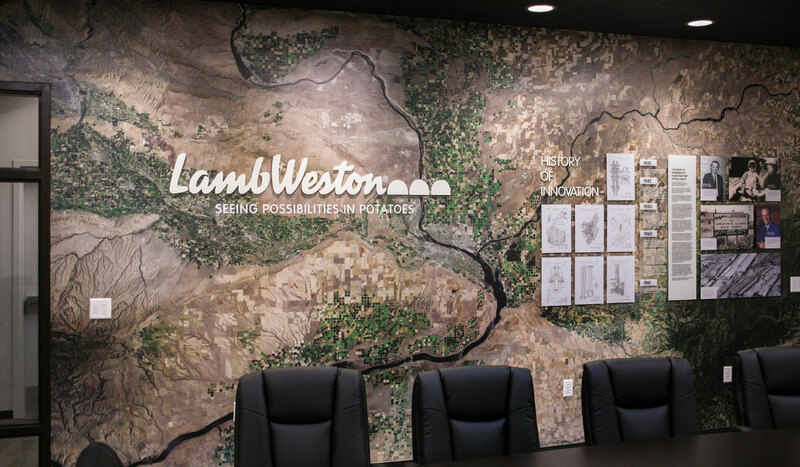 Lamb Weston's Richland, Washington plant is their showcase for state-of-the-art potato production and packaging processes. 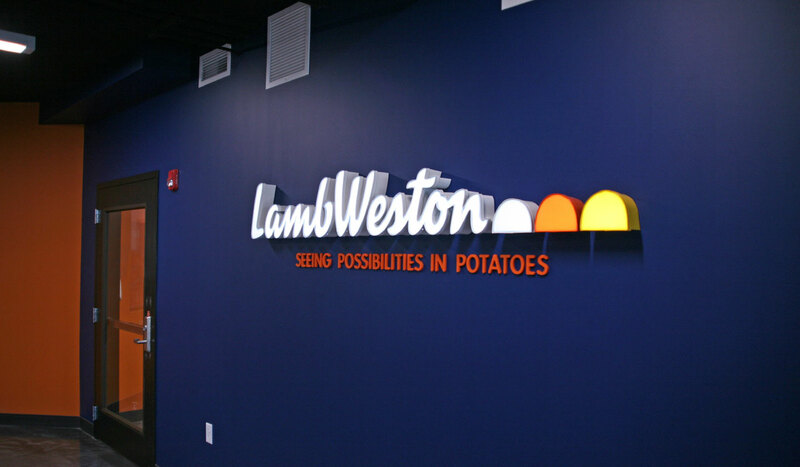 The plant showcases their commitment to the local farmers and their ability to take a potato crop from farm to fry. 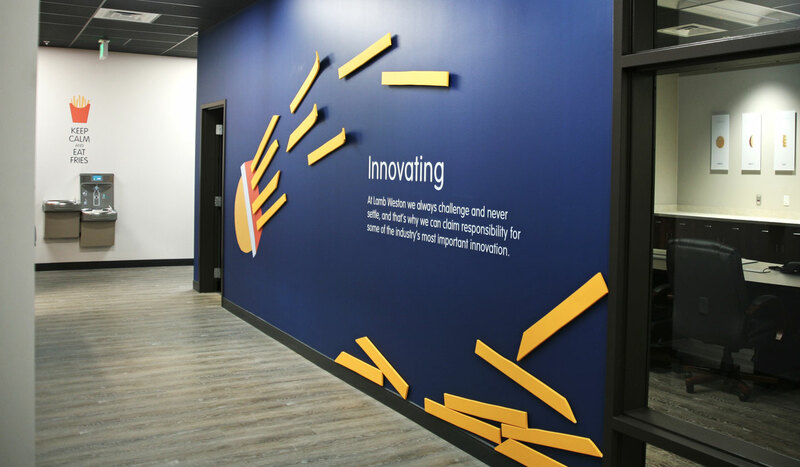 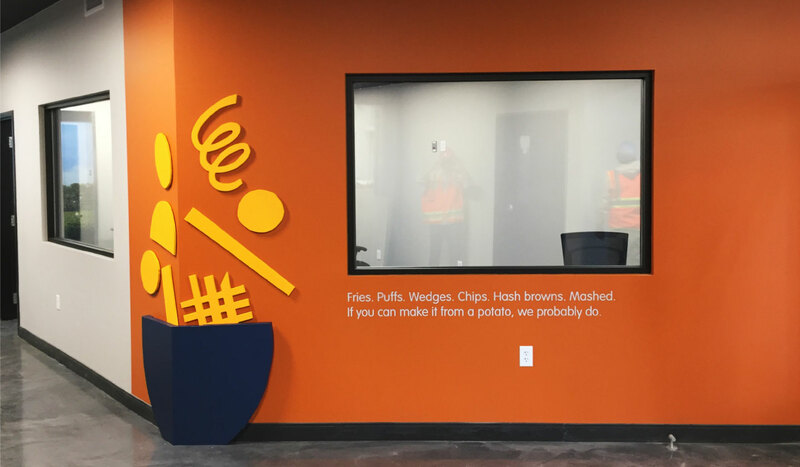 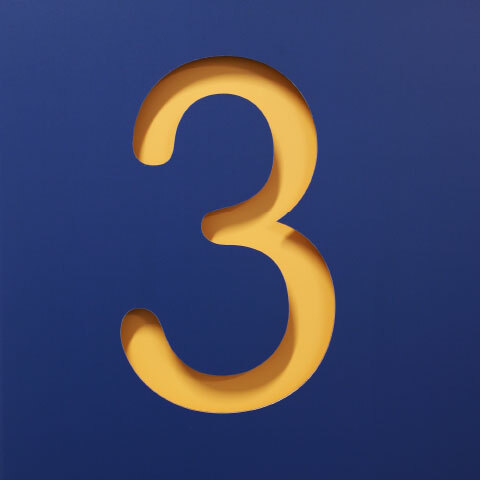 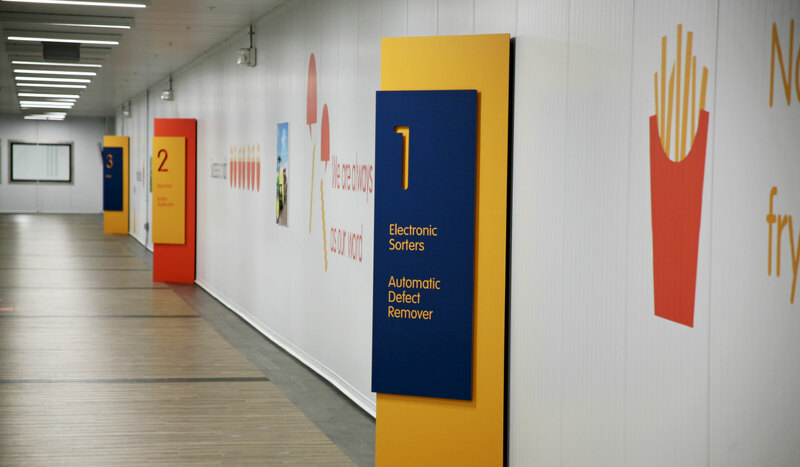 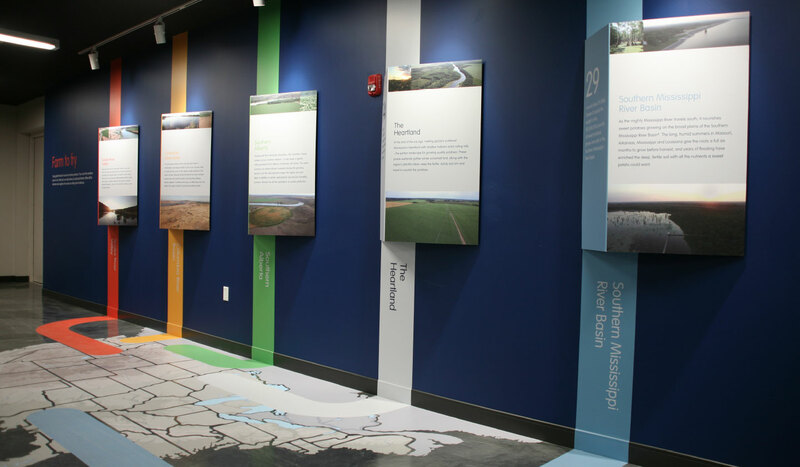 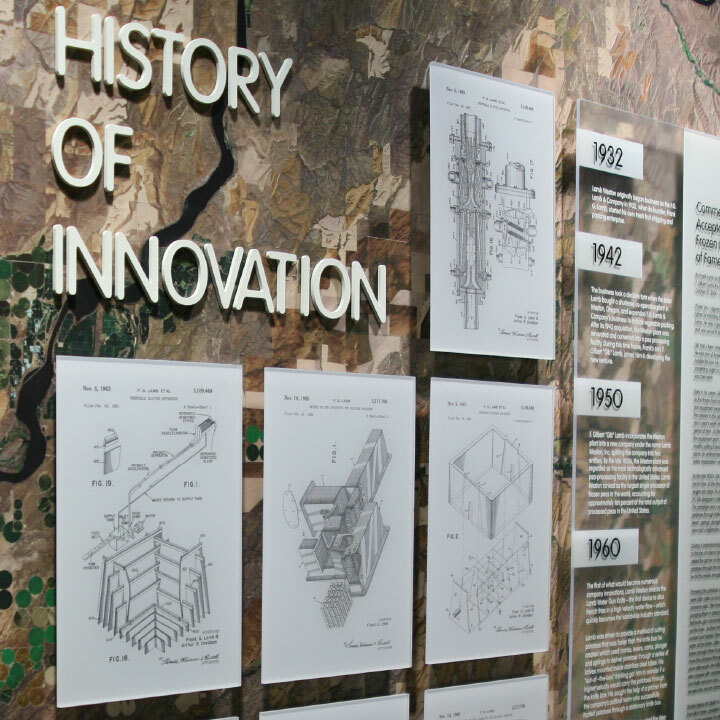 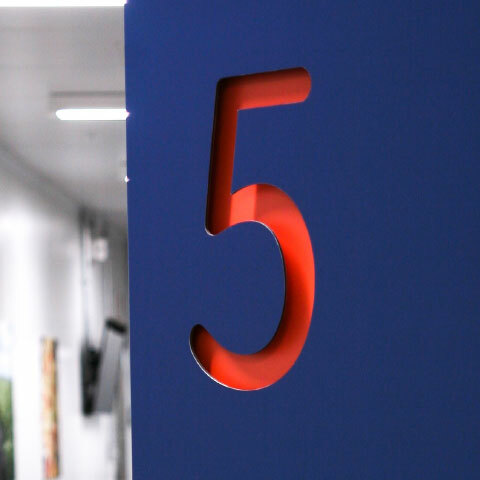 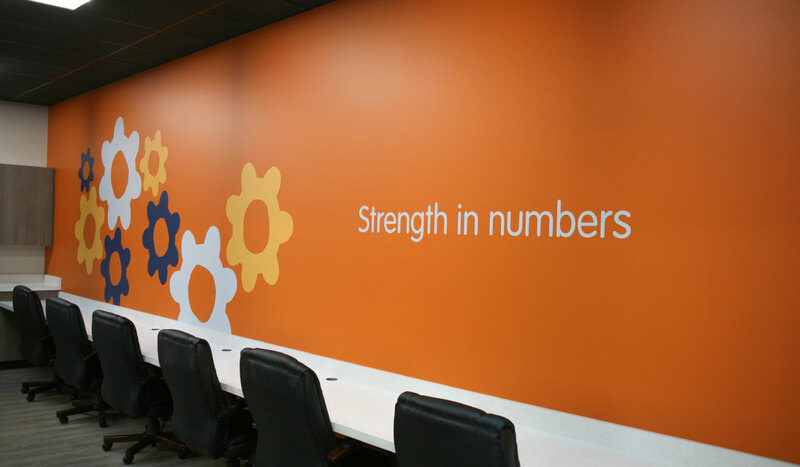 We created rich, welcoming graphics to inform and inspire customers taking tours as well as the employees working there every day. 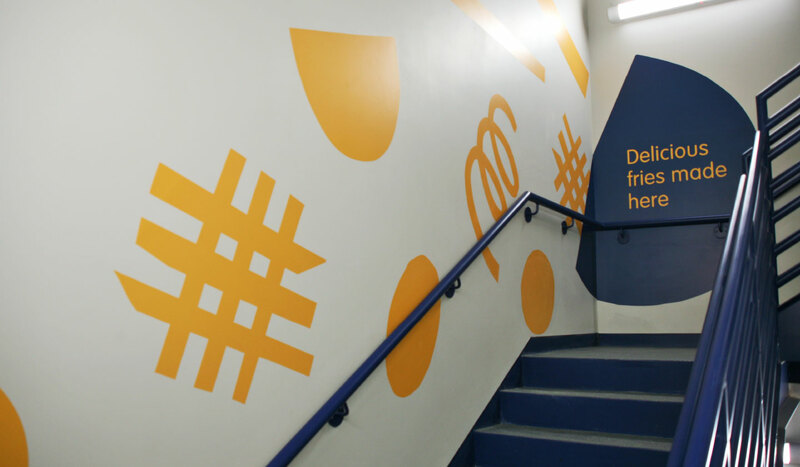 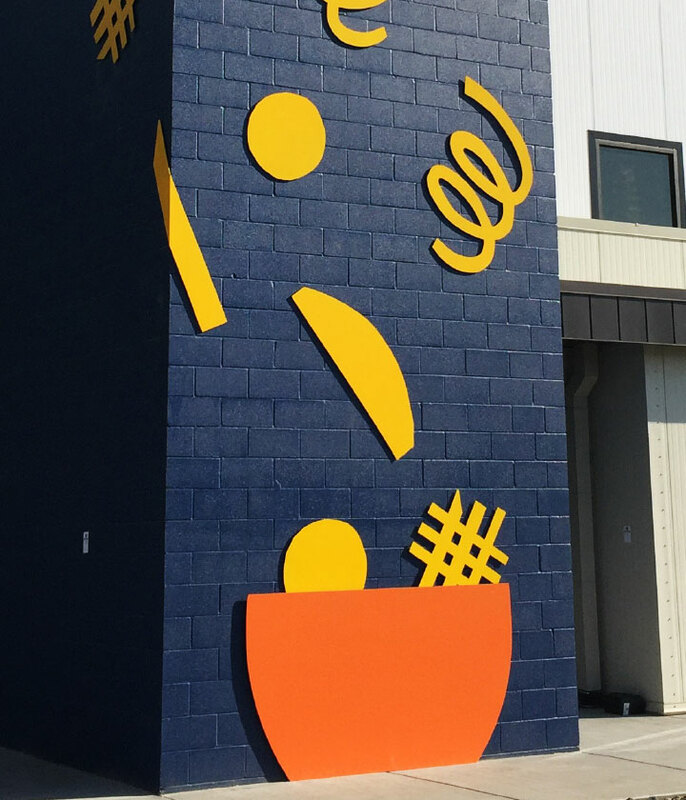 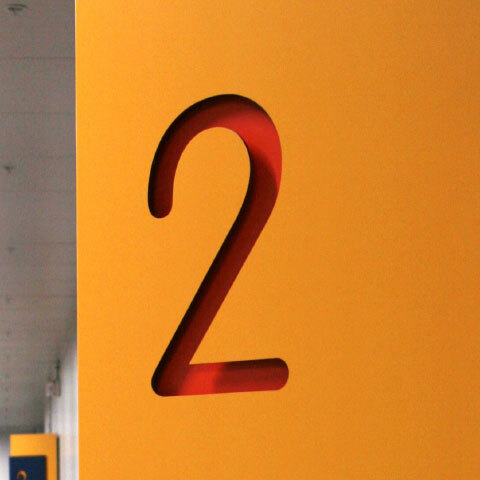 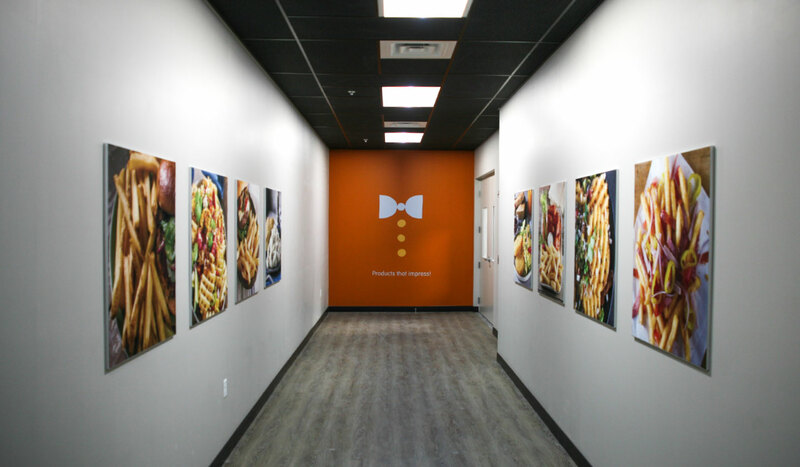 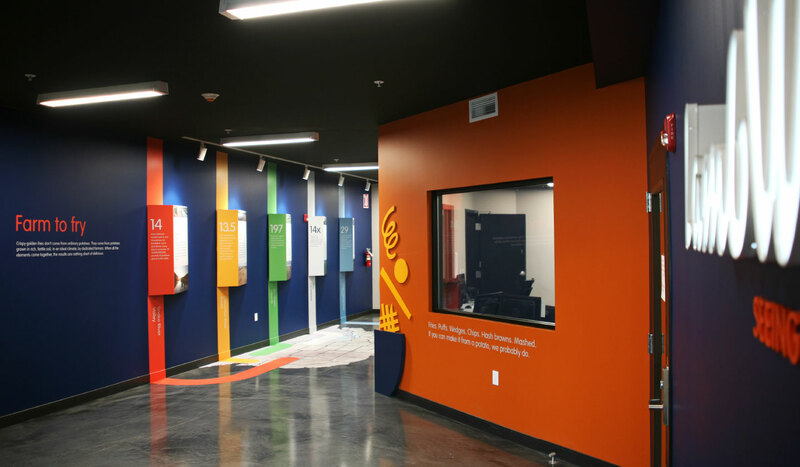 Lamb Weston’s bold brand colors, graphics flowing from walls onto floors, dimensional fries mounted to surfaces, and stairwells adorned with graphics give a fully-immersive experience.